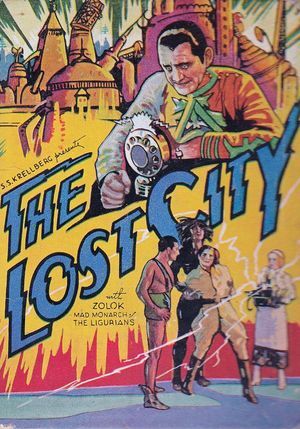 Young Mary searches for her lost scientist father, who is captive of the high priest in the secret city of Zar, and becomes the object of the affection of two men in her expedition, as well as a legendary ape-man whose interest she returns. Restored to approximate the original form of the serial according to the original script and other references. 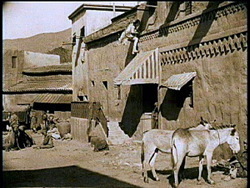 In Republic Pictures' ambitious first serial, animal trainer Clyde Beatty ventures deep into uncharted regions, past the Valley of Lost Souls, and over the Mountains of Despair, to find the lost kingdom of Joba, a bizarre land of mixed-bag technology and antique costuming, and rescue Valerie, sister of Baru, a kid skilled at lion-taming. Trouble is, the Joba natives have established Valerie as a goddess. High priest Dagna calls, with a colossal gong, upon his small army of flying bat-men to thwart the rescue effort. Ray "Crash" Corrigan plays both the Bat-man leader and Bonga the gorilla in the production. This serial, a national sensation on its original release, has not been seen in serial form for many years. 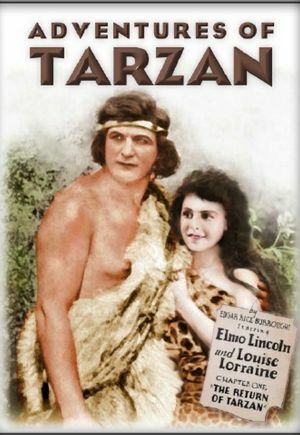 Adapted from the concluding chapters of Edgar Rice Burroughs' The Return of Tarzan, the serial's major players are Tarzan (Elmo Lincoln, in his second and final appearance as Tarzan), Jane, Tarzan's arch enemy Rokoff and Queen La of Opar. Tarzan's companions are Tantor the elephant and two ape friends: a female called Ara and a male (from Opar) named Og. Tarzan, now allied with the French Secret Service, pursues his arch enemy, international criminal and blackmailer Rokoff and his cohort, rogue French officer Gernot, who have come to Africa to plunder its treasures. Rokoff also steals from Tarzan the formula for a deadly gas and lusts after Jane, complicating matters a great deal when he inscribes a map to the treasure room of the lost city of Opar on her back. After many adventures in the desert, jungle, and the city of Sagarone, the entire cast has it out in Opar under the eyes of Queen La, who wants Tarzan to lead her army of wild-men. Plenty of amazing stunts, earthquakes, fires, and deathtraps in this fast-paced serial involving live lions and other wild animals, and a memorable performance by the amazing vine-swinging, villain-bashing, chest-beating Elmo Lincoln, who had so much fun doing this he was willing to wrestle real lions onstage to promote the serial in 1921. 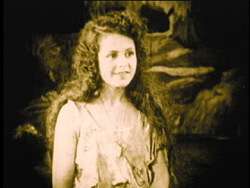 Louise Lorraine was 16 years old at the time of filming. 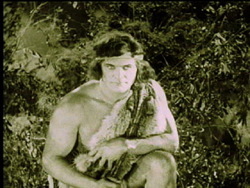 Future Tarzan Frank Merrill appears in a small role in this serial as an Arab raider. Transfer/Video Quality: A new state-of-the-art digital transfer and reconstruction of one of the most popular serials ever released, in 10 chapters, tinted & scored, with restored footage, title cards & cliffhanger endings, with sound effects as presented in the re-release, and with a new musical score. The beautiful digital transfer is presented in the unique 3-color Malavision toning technique which gives a more natural appearance to scenes by allowing the use of multiple hues in connection to corresponding brightness values without colorization. A 20-minute extended introductory prologue of scenes from Tarzan of the Apes (1918) and plot summary which sets up the story of the serial (which was actually directly continued from the three previous Tarzan films, Tarzan of the Apes, The Romance of Tarzan and The Revenge of Tarzan, illustrated menus, scene markers within chapters, lobby card & poster reproductions & stills, deleted scenes and stunt performer clips. Two brief scenes (including one which appears to be from the missing chapter 8), which do not resolve or fit into the continuity have been included on the DVD as "deleted scenes." Notes for historians and completists: This serial was originally released at 15 chapters, then re-released later in a condensed 10-chapter version with sound effects. The Squadron DVD is very similar in presentation and feel to the 1929 release, and makes use of all footage known to exist of the serial. Chapter 5 of the Squadron version, which is quite complete, was chapter 7 in the original. 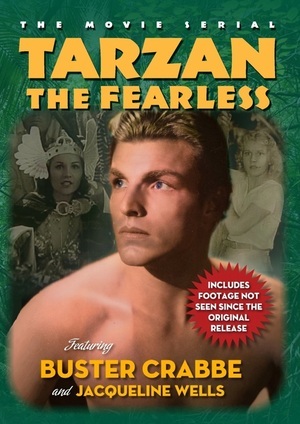 71 Episodes of the further adventures of Tarzan, originally broadcast in the 1950s. These programs are similar in tone to the Ron Ely television programs of the 60s and generally intelligent and entertaining. 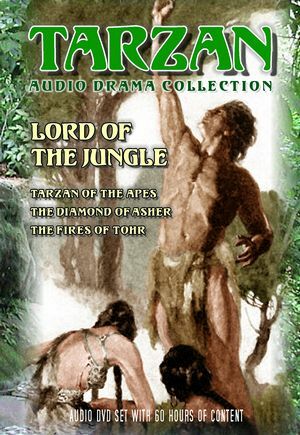 76 episodes of TARZAN OF THE APES (1932) the original story of Tarzan, as scripted by his creator Edgar Rice Burroughs and starring his son-in-law James Pierce and daughter Joan Burroughs, and two more complete serials, THE DIAMOND OF ASHER (1934) and THE FIRES OF TOHR (1936), one never aired. Very good sound quality on all episodes. 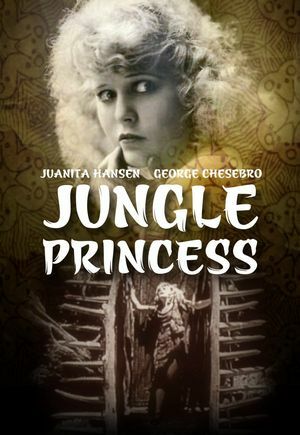 The adventures of Jan of the Jungle, whose parents are murdered by his father’s rival for a secret formula which is still sought by the killer years afterward, and a lost princess of a secret jungle city. 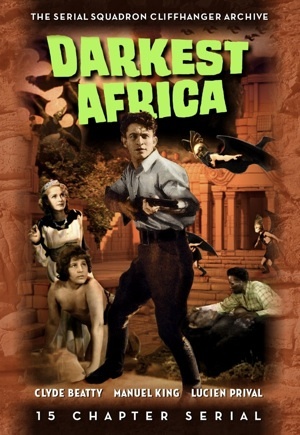 In Africa, an aviator and his Irish pal rescue a disguised young woman from a cruel slaver and his wild-animal deathtraps and she turns out to be the lost princess of a secret city. 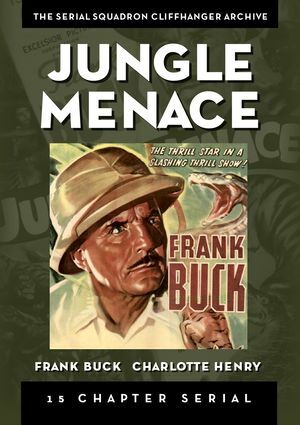 When the rubber plantation of Edward Elliott is beset by river pirates, his friend, Frank Hardy, the famed wild animal trapper, hits the jungle to help the planter in his fight. 2-DVD Set includes all 15 "acts." Pith-helmeted electrical engineer Bruce Gordon and entourage travel to Africa in search of the source of a mysterious magnetic disturbance wreaking havoc on the world. At the 28th meridian, he encounters Zolok, a mad scientist who lives in a gigantic laboratory with a captive scientist and his daughter, a hunchback named Gorzo and enjoys exploiting the local natives who become his giant zombie slaves. 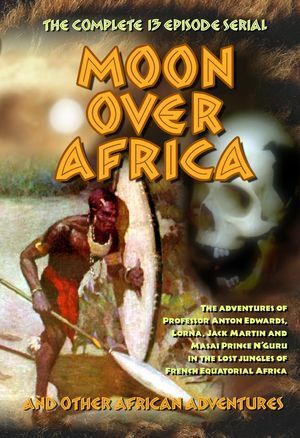 The adventures of Professor Anton Edwards, Lorna, Jack Martin and Masai Prince N'Guru in the lost jungles of equatorial Africa. Engrossing audio serial written by Talbot Mundy which includes a bizarre talking skull that laughs and taunts members of the expedition.